Digital printing for fabrics works regardless of the size, shape and even type of fabric that needs to be printed. So you don’t have to make many modifications in order to print virtually anything you want on a wide range of fabrics, ranging from cotton to linen and polyester. Digital printing will, therefore, work regardless of whether you need to get one meter or one hundred meters of cloth printed upon. This makes digital printing viable for both large-scale businesses or small shops run by individual owners. It is even suitable for non-commercial uses, such as when you need to make your home a little more cheerful! One of the major reasons why digital printing has supplanted other conventional printing methods is its high-cost effectiveness, which makes digital printing affordable to the masses. 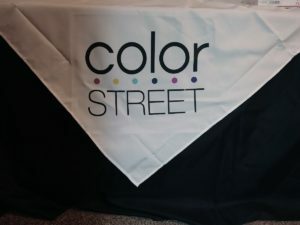 Even if you run a small shop or juice bar, you can get a couple of branded tablecloths to decorate your shop for a very fair price. The low costs of digital printing are mostly due to its low ink and power usage, which leads us to another interesting point. Expect a very quick turnaround when you make use of digital printing services, even if you have a large scale order. As such, digital printing can help you work with tight deadlines and a hectic schedule. When we use less ink and less power to accomplish the same job, you can easily understand that the process also becomes more sustainable. Digital printing also generates a lot less chemical waste when compared to older printing methods, thereby having an even lower impact on the environment. Digital printing is recommended for all high-quality work due to its high accuracy and precision when it comes to displaying colors. If any of the above points are still not enticing enough to give digital fabric printing a chance, the high accuracy factor is what makes you change your mind at last.